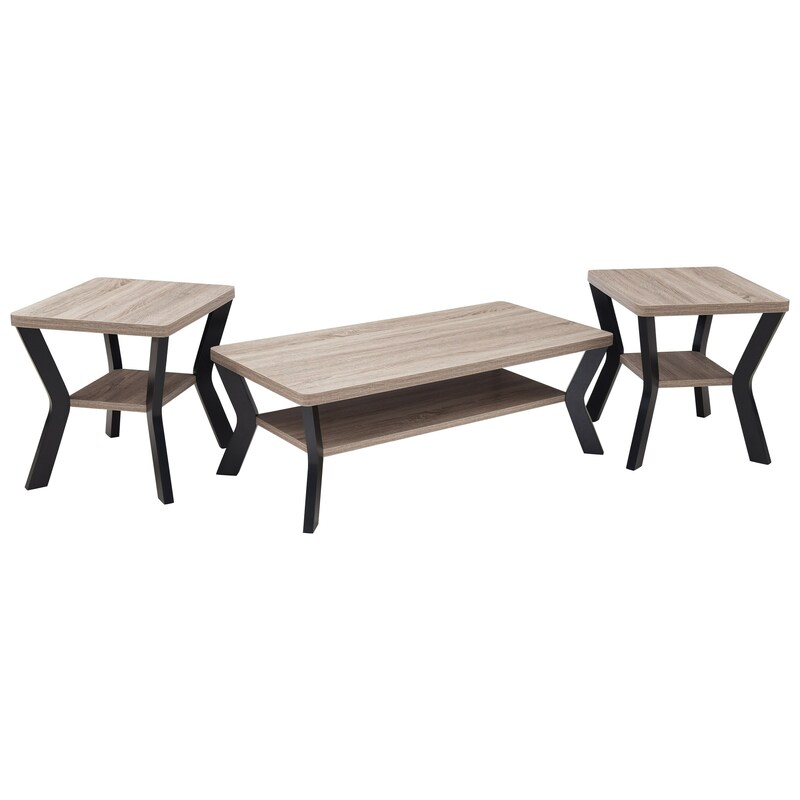 Add a touch of contemporary style to your living room with the addition of this three piece occasional table set. This table set features a light driftwood finish on the table tops that complements the dark brown finish of the legs beautifully. Each piece also features a functional shelf perfect for a basket or magazines. The durable laminate table top ensures quality as you enjoy these contemporary pieces. The 7015 Contemporary 3 Piece Occasional Table Set by United Furniture Industries at Household Furniture in the El Paso & Horizon City, TX area. Product availability may vary. Contact us for the most current availability on this product.